Important note: Since this updated Good Stock restaurant review was written, I have changed my approach from weight management to Health at Every Size and intuitive eating. The recommendations here were intended for the pursuit of weight loss, an approach that is no longer aligned with my beliefs and brand. Keep this in mind as you read through the post. 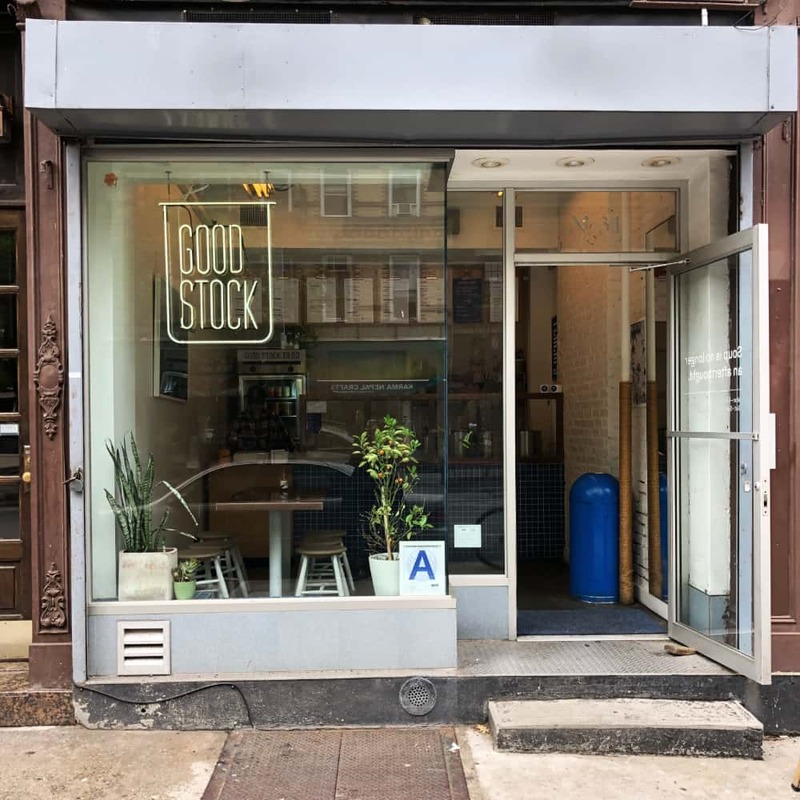 Good Stock recently added sandwiches to the menu, which I’m happy to report are très excellent. They use Bien Cuit sandwich bread, which is hearty and extremely filling. Back in January, I lauded Good Stock for its genius soup and salad concept since it’s not always easy to find veggie-forward meals that actually taste good. But I think it was a smart move to bring in the sandwich options, especially since the warmer months may not make people automatically inclined towards soup. I should point out that for the warmer months, they will have cold soups like gazpacho available. It’s more reason to love this place. Location: 31 Carmine Street, permanent spot in Urbanspace Vanderbilt and lunch pop-up at West Elm Market in DUMBO on Mondays and Thursdays, delivery via Try Caviar. Heads Up: I find a small soup and small salad plus the bread to be plenty for a meal. For men, larger versions of these should be enough. If you’re doing a sandwich and salad, purchase a large salad because this will probably be enough for 1.5-2 meals. For IBS-ers, most of the soups contain onion and garlic. The salads will often contain low FODMAP-friendly ingredients. I hope this Good Stock restaurant review was good! This remains an Eathority favorite because of the high-quality ingredients and tasty salad, soup, and sandwich options. 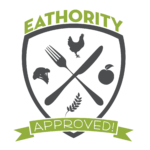 For tasty restaurant eats and information about ditching diets for good, sign up for Eathority’s newsletter!